– of – flights selected. 2. Define the dimensions with crossfilter. 3. 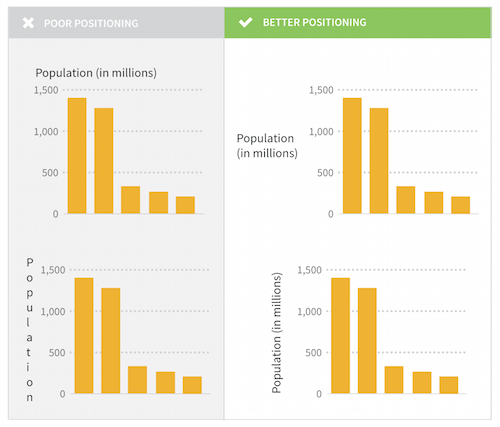 Create the charts with D3. 4. Write the event code to respond to clicks and filters. There’s also the question of reusability. 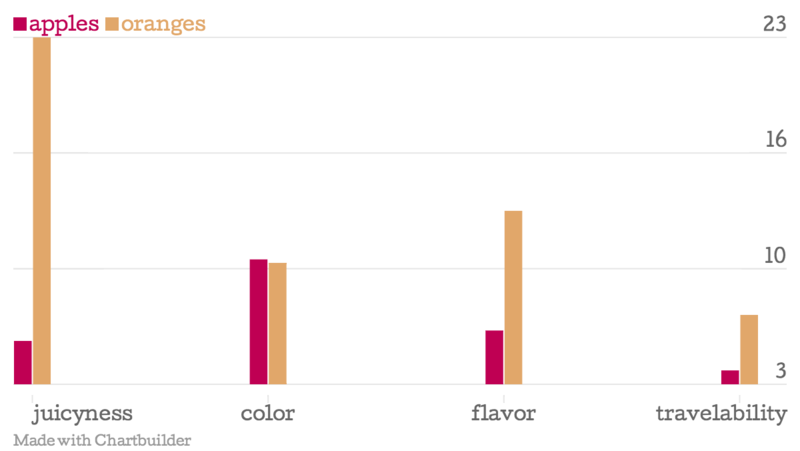 How much code would we have to write –and maintain– if we wanted to adapt any of these charts to another visualization? This is the main problem with using D3.js as a charting library and doing everything by hand. The development and testing of a single non-trivial dashboard could take weeks, if not months. You know what would be ideal? To have a charting library that allowed us to use large datasets with crossfilter and, at the same time, enabled us to create reusable charts that we could easily plug in wherever we want. This is the same set of charts, but done in a much simpler, faster and expressive way. Take a look at the samples they have in their site, like this interactive Twitter dashboard or this stock picker. dc.js performs the dirty work of linking the charts together, so when we click on a chart, the other charts in the group respond automatically, without writing any additional code. Magic! 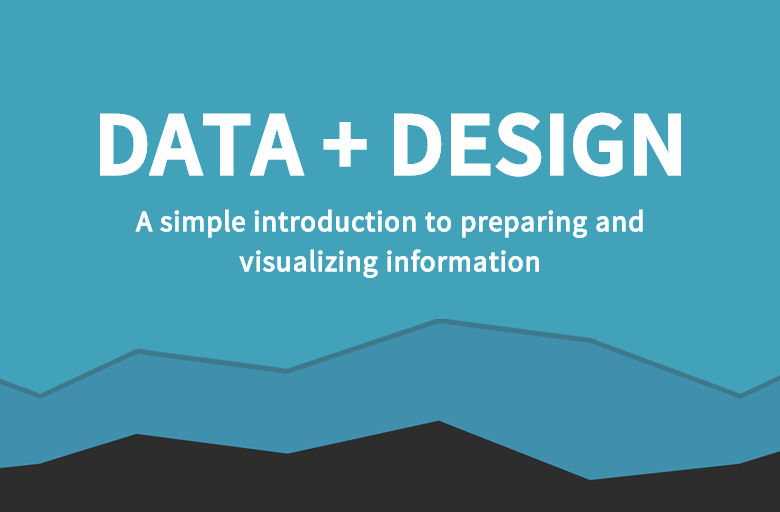 A team of over 50 people have collaborated in Data+Design, a book about preparing and visualizing information. It’s a thorough but simple introduction to data collection and visualization, very thoroughly written and chock full of great advice. It’s open-source too, published in its present form using O’Reilly’s Atlas e-publishing platform, which produces very clean, readable books. The other day, web developer friend asked me how to create and insert a timeline into WordPress. He actually wanted to put an interactive timeline with links, images and video on the homepage of a news site. I checked out several options out there and settled on TimelineJS. You can create timeline charts directly on their web site. Each story in the timeline has to be loaded as rows in a google spreadsheet. You can enrich each of the “steps” or events with links, videos and pictures and everything’s stupid-easy to use. At the end you get an iframe embedding code that you can copy and paste to your site. But they even have a WordPress plugin for that. There’s even other developers who have created alternative tools based on TimelineJS that allow you to play with more settings. So if you ever need a quick and dirty solution to build a timeline and tell a story, look no further. Now, if you’re a developer and you want a proper, scalable and maintainable solution, that’s another story. In the case of my friend, depending on an external site for such a crucial part of a website is not a good idea. What if these guys decide to abandon the product (hope not!)? What if their site goes off-line? My friend may lose his content temporarily or permanently. It’s not maintained by him, it’s not hosted by him, it’s not backed up by him. His content it’s not his. So, the correct solution is to find a way to self-host a similar solution. Fortunately and amazingly, TimelineJS is an open source tool and it’s on GitHub. If you’re a developer like my friend, you can download the source code, copy it to your server and that’s it. You’ll have a fledged timeline builder in minutes. 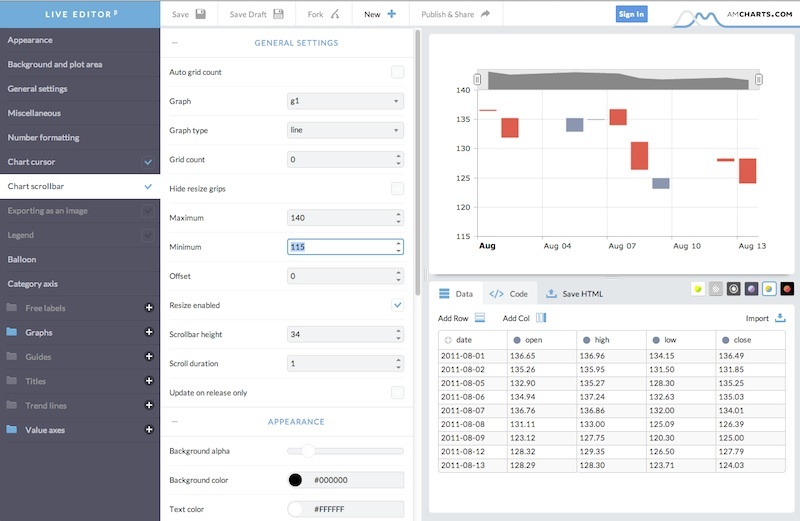 Back in July 2013, the guys from released their Chartbuilder tool to the rest of the world. Quartz is a very successful online magazine. For their charting needs they use Chartbuilder, a web tool they built to streamline their cumbersome Excel-based process and convert it to a three step copy+paste, copy+paste, publish workflow. (…) frustrated by the amount of my own time it was taking to produce even the simplest charts in our style, I set out to make a tool that would allow me to support the charting needs of the newsroom without consuming all of my time. It quickly turned into an application for the entire newsroom. Back in July 2013 they released the tool to the rest of us. Chartbuilder can be downloaded and installed in your machine, but you can also use their hosted version here.